Following the harvest, our olives are shipped from Greece to our Lakonía headquarters in Saco, Maine, where we pack them in our own family’s gluten-free brine recipe. A good olive should be firm and its flavor should never compete with the taste of the brine. Lakonía’s recipe contains less salt than most brine, so the delicate flavor of the olive fruit is complemented, not compromised. The recipe consists of water, apple cider vinegar, Pacific Sea Salt, and DÁFNI Extra Virgin Olive Oil. 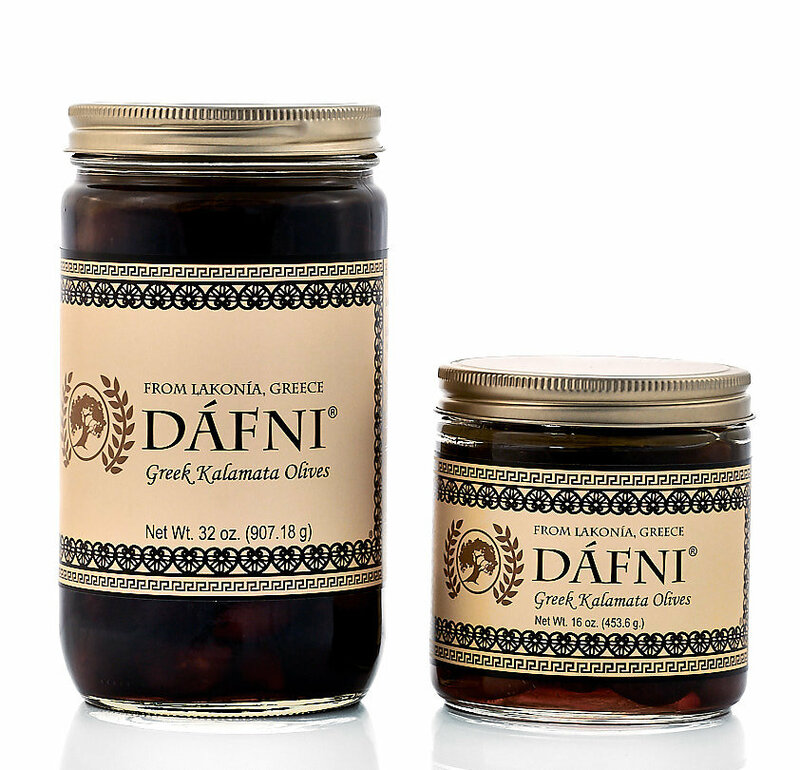 Our brine recipe ensures that DÁFNI Greek Kalamata Olives retain their unique fresh flavor. The left over brine is delicious to use with seafood, meats, pasta, salads, and vegetables. Combine olive oil and an herb of your choice to the brine for a tasty marinade, dressing, to sauté with, or for bread dipping. Don't let it go to waste! Much time and effort go into making our Kalamata olives perfect in flavor and we take the extra step to make sure we achieve the same level of quality with every batch. During the curing period, the olives are periodically taste tested and the recipe may be adjusted due to the variations that may occur in a particular batch. It is essential to package our olives at peak flavor, and we do so in small batches to ensure freshness and maximum shelf life.